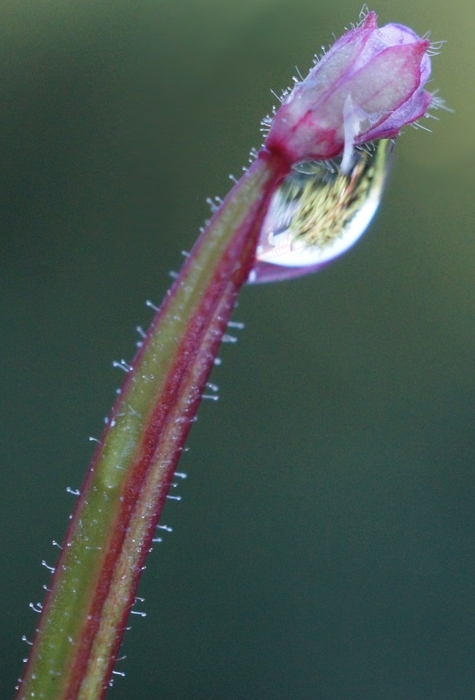 My plants provide many convienient photographic subjects. 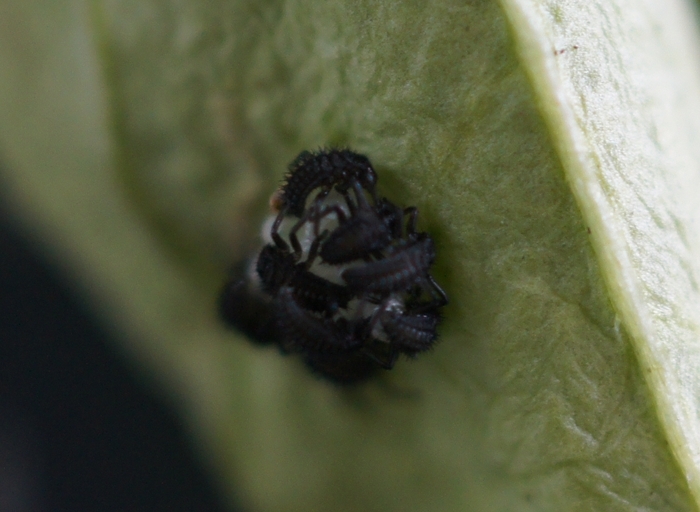 This year's ladybug eggs. They were on a volunteer tomatillo plant which I pulled up, so I saved the leaf and tied it to the plant shelf. 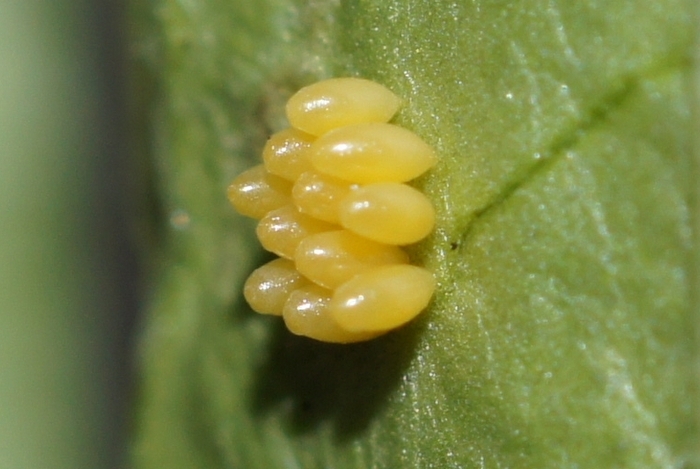 Each egg is about 5mm long x 2mm wide. They took a surprisingly long time to leave... but they slowly began to make their way out into the world... 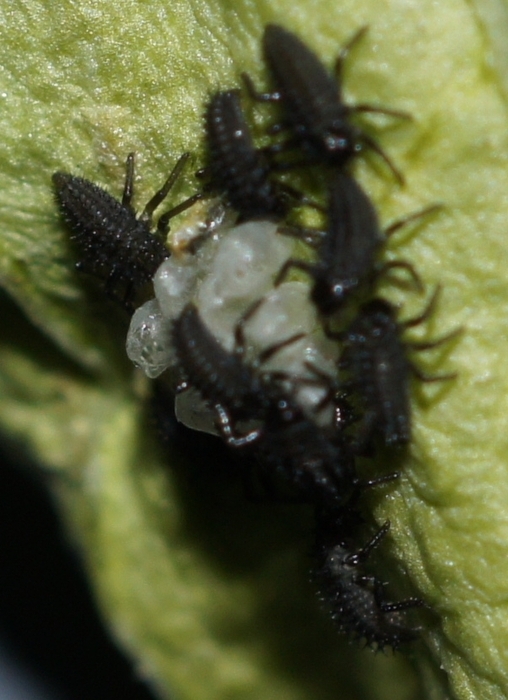 Right now they are only about 3mm long, but each of these little guys is capable of eating about 400 aphids in the 3-4 weeks before it becomes an adult. 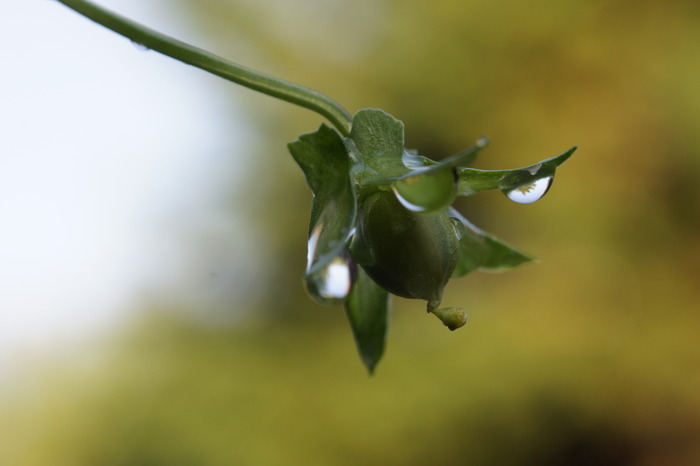 A narrow-field view of one of the volunteer pansies just beginning to bloom. 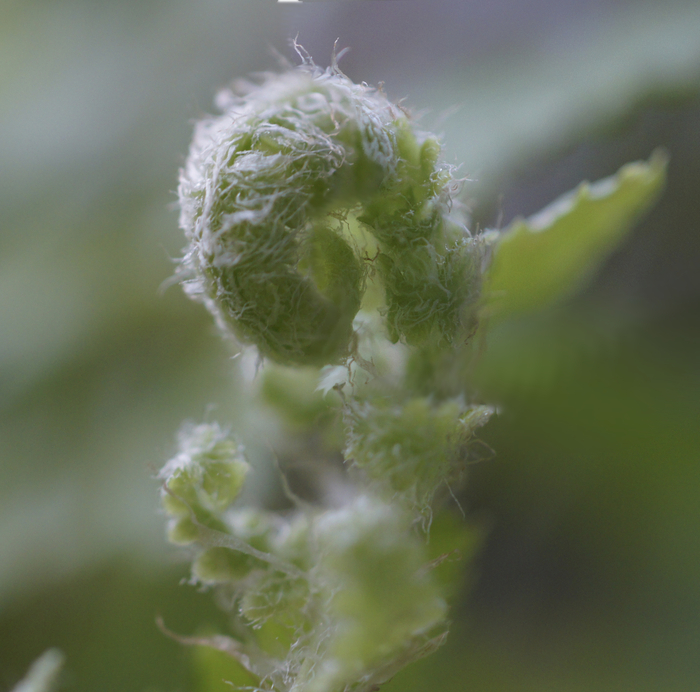 Ferns produce spores rather than seeds. Each cluster of spores is the size of a pinhead. 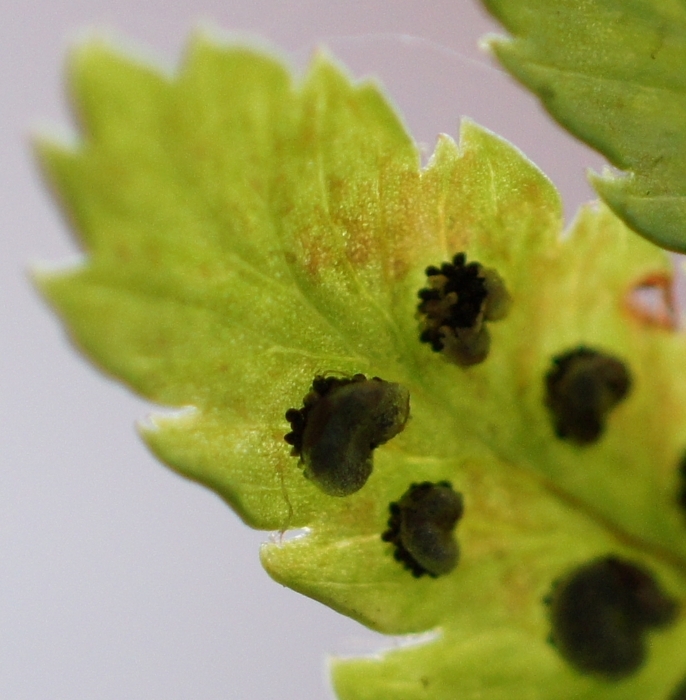 The little black dots in clumps are the individual spores. Nifty, huh? 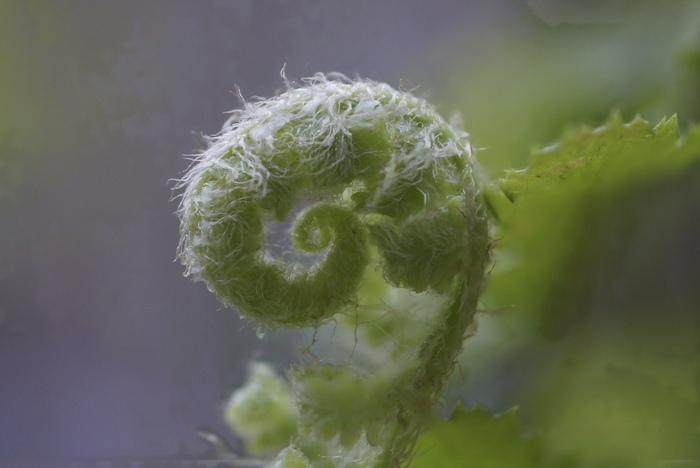 A photo of a fern unrolling in Darwin's Gardens. (This is what I call the pot of plants where we've stopped trying to control the weeds and just embraced them. The current population is: mint (declining), chives (stable), moss (increasing), some flower (dead, now just a woody stump), a pink weed (new), and the fern (increasing).) This is actually 3 images edited together. 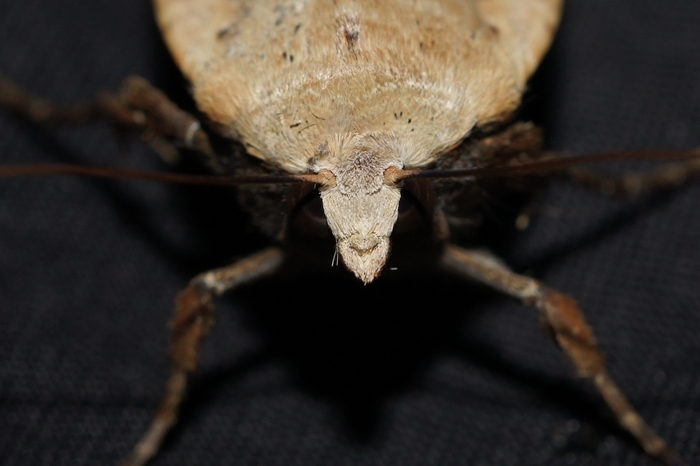 You can also see the originals and variations on the focus stack. 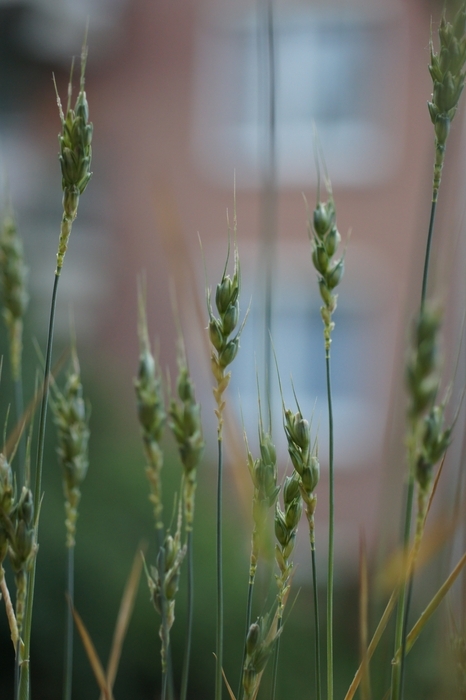 Our urban wheat, nearly ready for harvest. 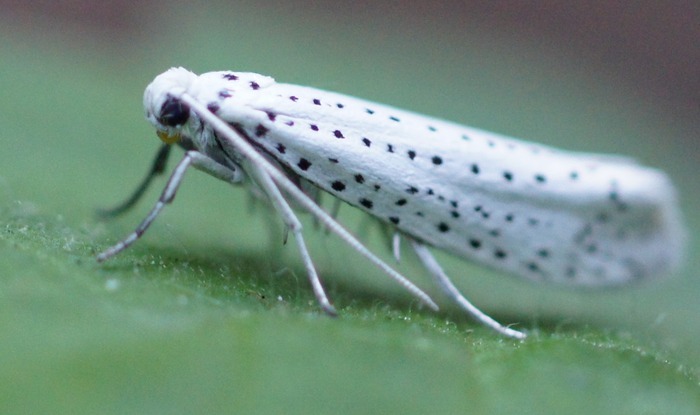 A dalmation-like bird-cherry Ermine moth visiting the peppers. As the name implies, they are interested in the bird-cherry tree and present no threat to our garden. 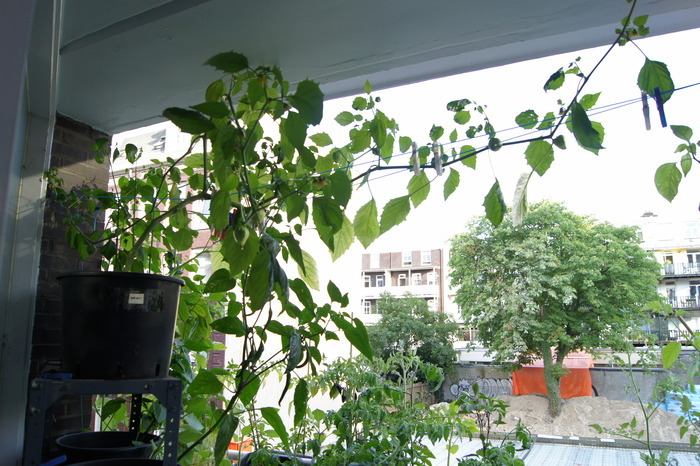 Regular visitors to this site may recall the mutant tomatillo which we grew on the balcony last year. Of course, I saved the seeds from it. 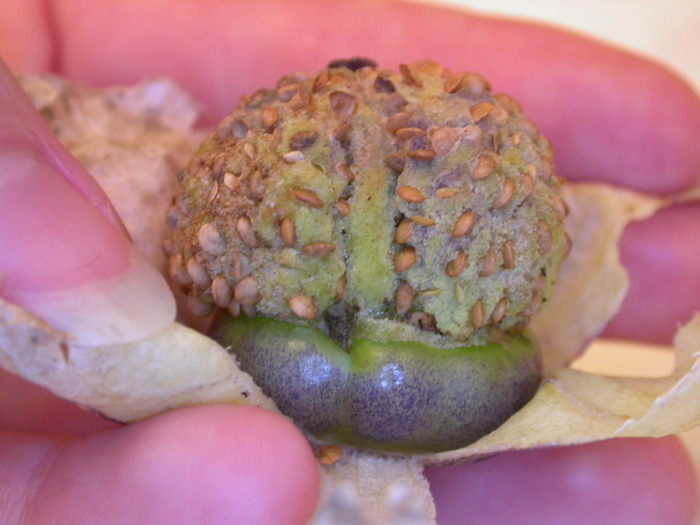 It did not produce inside-out brain-like tomatillos, but it did grow to engulf the clothesline, span the entire breadth of the balcony, and produce loads of beautiful, dark, thoroughly purple tomatillos. 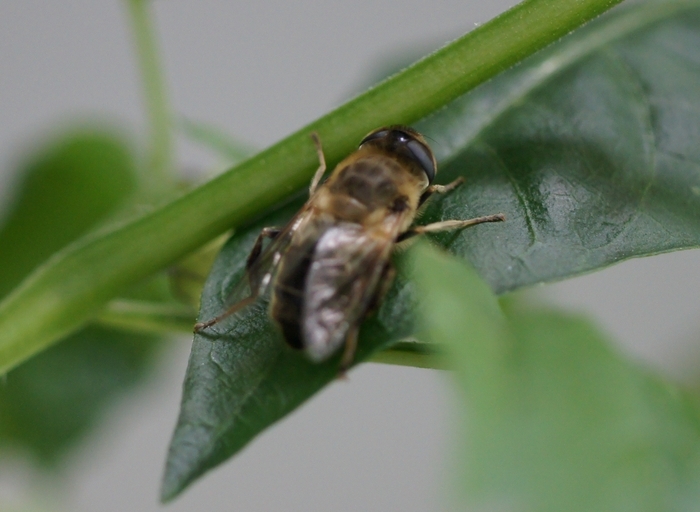 We fairly regularly get bees who just seem to be taking a nap among the plants on our balcony. Mostly what we get seem to be a small kind of bumble bee - squarely built with lemon-yellow stripes - but this one looks like an actual honeybee. He eventually sobered up and flew away. 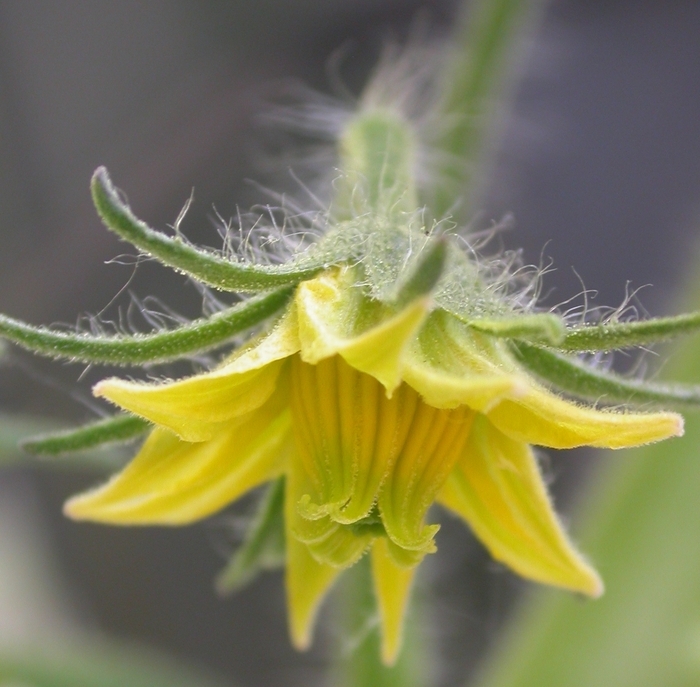 Many years before I was born, my grandmother had a German neighbor who gave her some tomato seeds. Grandma thought they were the best tomatoes ever, and grew plants from the seeds every year, with the cups always labeled GER. Every year she'd start more seeds than she needed and thin out the ones which were a little small, a little slow to start, or a little thin... so by the time I started growing them these plants distinguished themselves by practially leaping out of the ground, with stalks twice as thick as the seed-catalog varities. 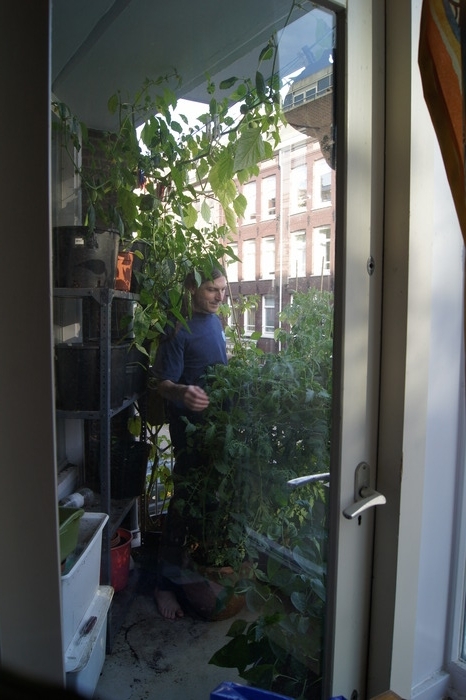 Then I moved to the Netherlands, and things got shuffled around, and I lost track of the seeds. Grandma had stopped raising tomatoes from seed several years ago, so it seemed the line was lost forever. Then, when my mom moved, she found a little ziplock labeled simply 1999 , and gave them to me. So, in the spring of 2010, I planted the last 10 of Grandma's Germans, the ten-year-old seeds. 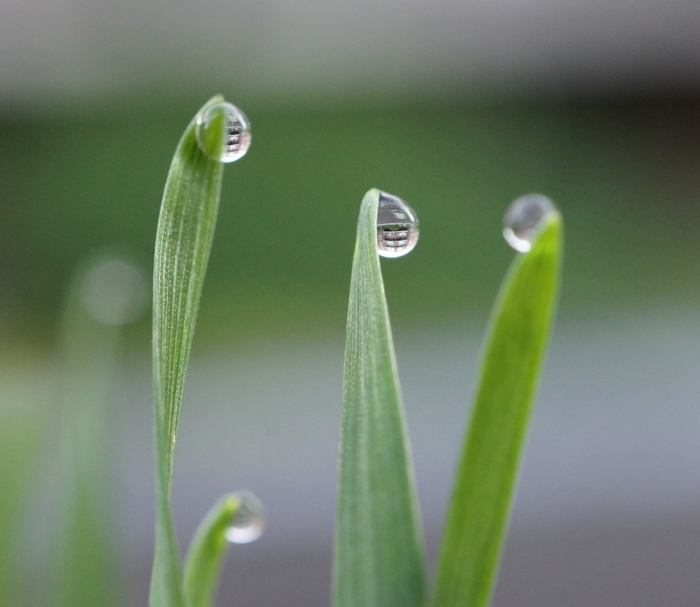 To my amazement, four of them sprouted, and three of them thrived to become full-grown plants. 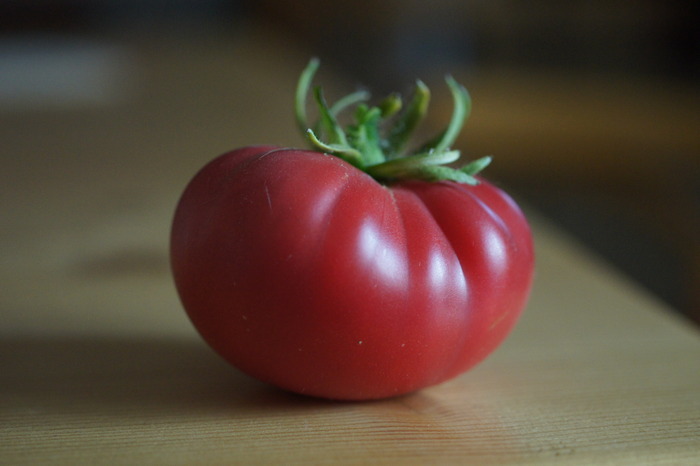 This tomato was the first produced by the new generation of Grandma's Germans. Lang lebe der Deutschen! Spiders are not rare on our balcony. Green spiders are a bit odd. This one has caught a gnat. I was still learning to use my camera, so the depth of field is a bit narrow, but you can get a good look at the markings on Spidey's back, even though she is hiding her eyes. Probably she is a Nigma walckenaeri, or groen kaardertje ( green weaver ), typically 2-4 mm long. 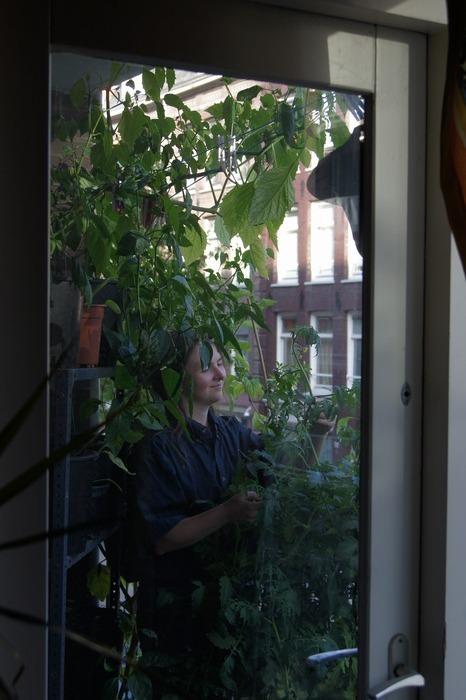 A volunteer from one of the flower pots. 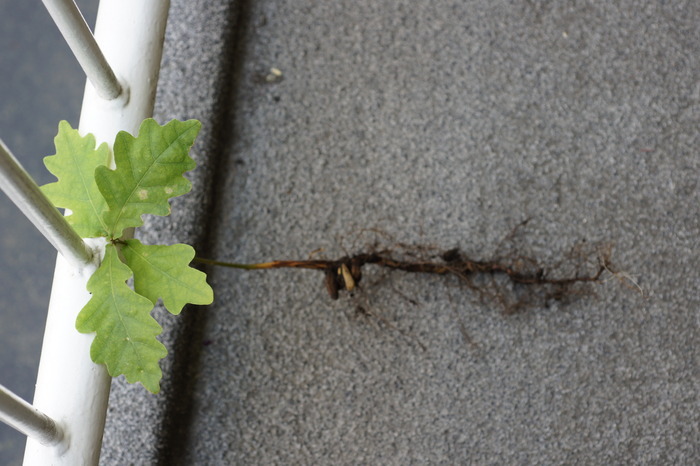 We dug it up to transplant it... if it survived the process, then we will some day have a lofty oak and have seen the acorn from which it grew. One day I decided to come home from work a bit early to do some errands. On the way back to the house I noticed a butterfly sitting in the middle of the sidewalk, with feet raining carelessly around it. 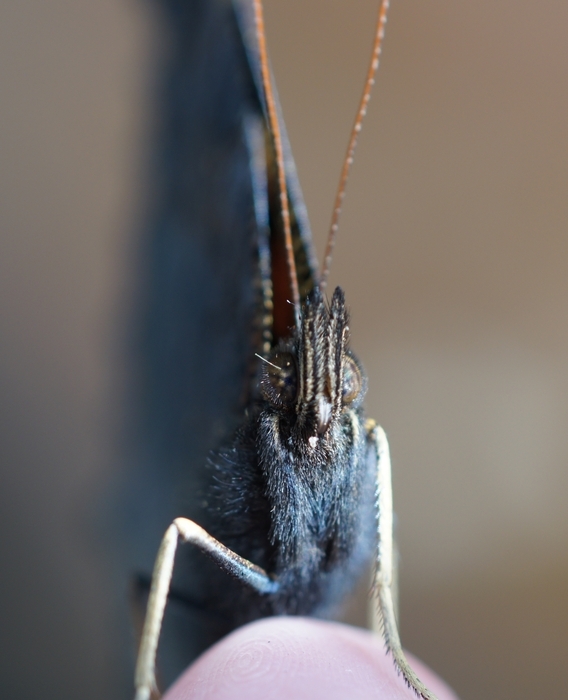 I poked at it, expecting it to fly away, but instead it slowly walked onto my finger. 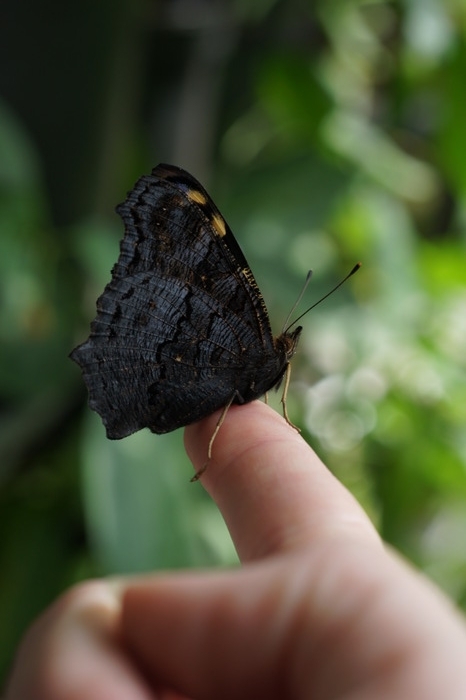 So, I walked home, with my butterfly on my finger tip. 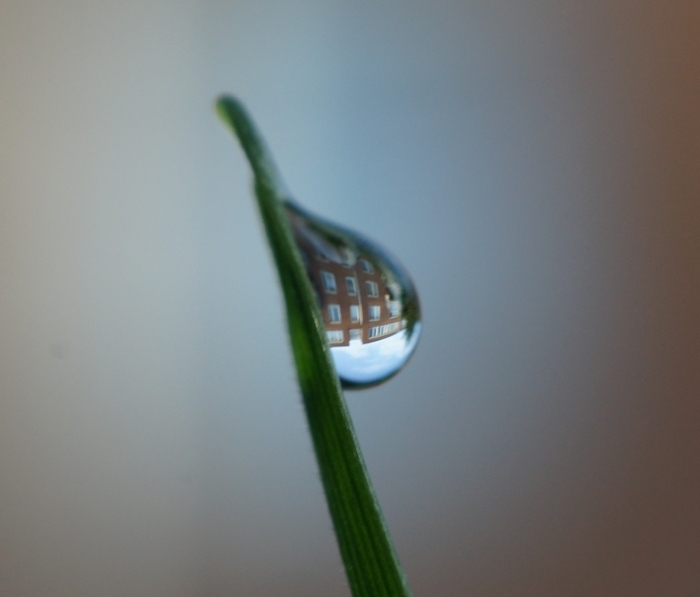 Most people did not seem to notice, but one commented, Wat mooi! Better lighting and the internet show it to be Inachis io, the European peacock butterfly. 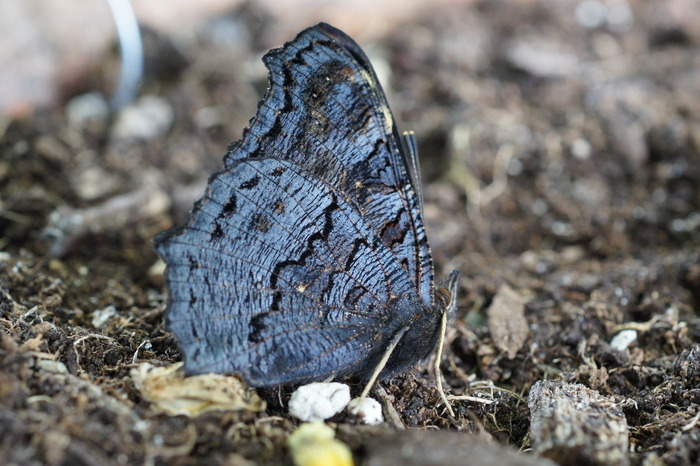 This one never opened its wings long enough to take a photo of the brightly-colored dorsal wing surface. I'm not complaining though, as it sat still for a number of photos. Here it is hanging out under the tomato plant. 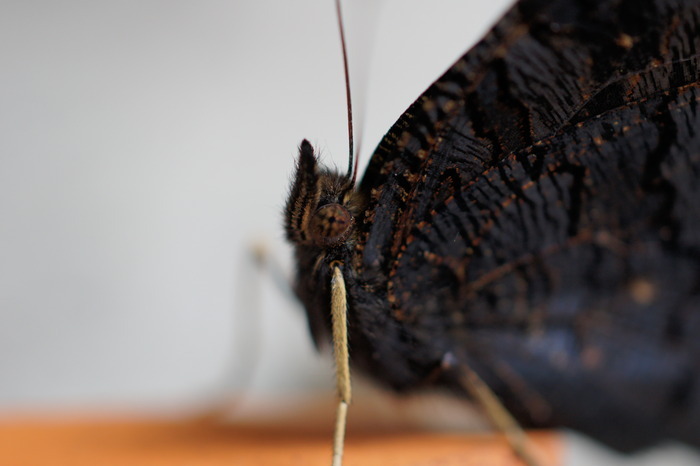 It sat still enough, in fact, to allow a macro shot of the wing. 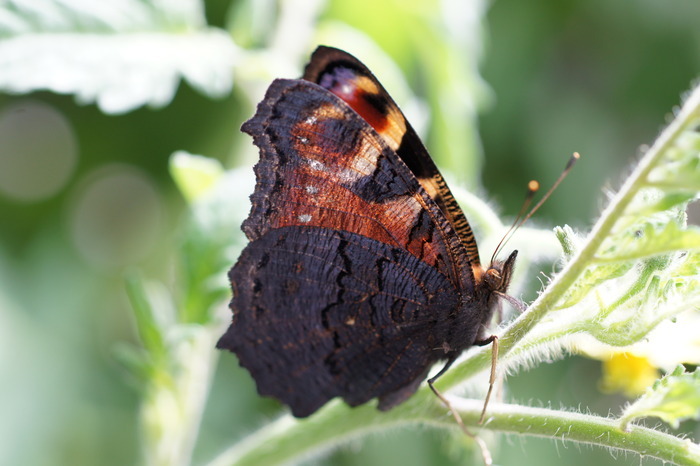 Here you can see the tiny scales (the powder that comes off of their wings) and hairs which make up the colorful surface of the wing. 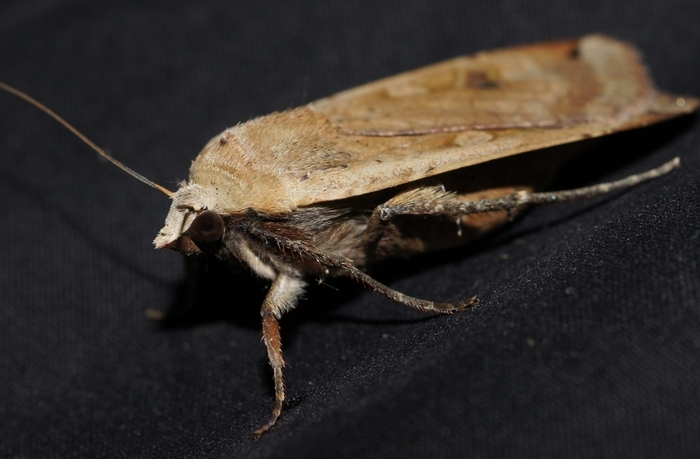 Not as spectacular as the butterfly, but good macro shots of a brown moth which visited us one night. 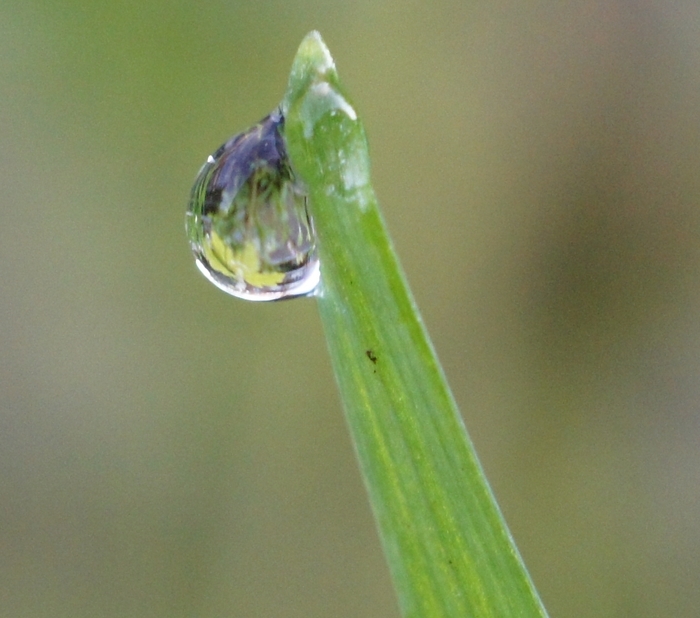 Morning mist means water droplets on the wheat in the morning. I stopped on the way to work to catch an unusual view of the neighborhood. This one has an image of the little oak tree. 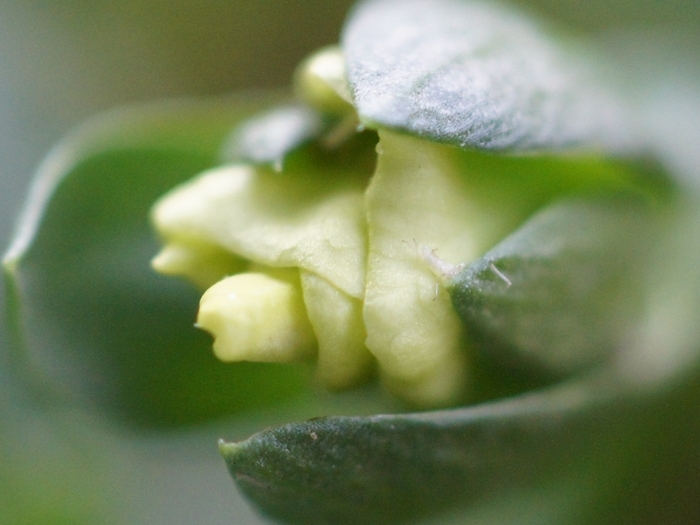 A flower from Darwin's Gardens. 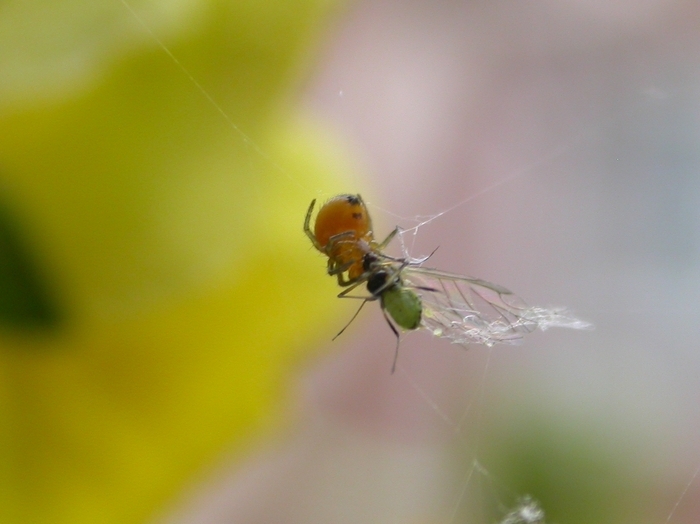 A few last blasts from my old camera: a spider which has caught a winged aphid. 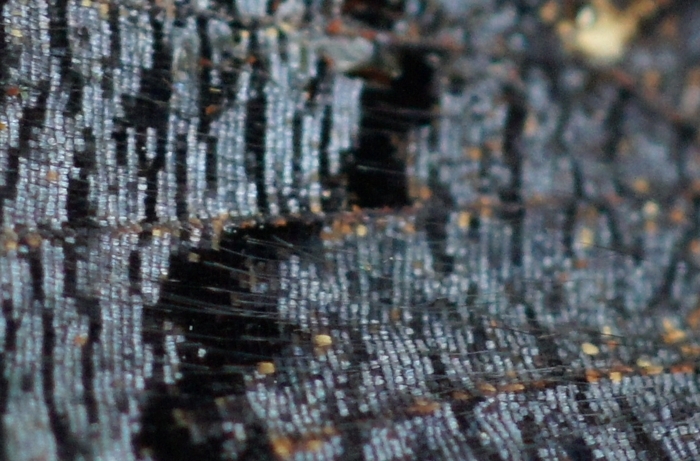 You can see spider, aphid, and wing. 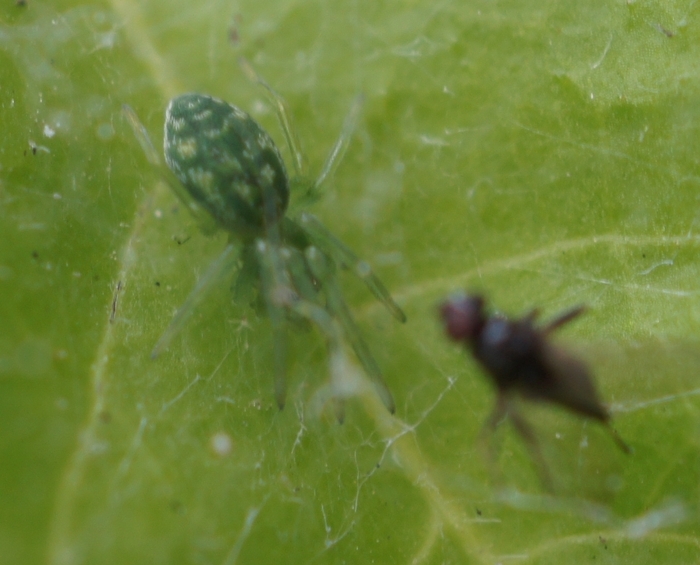 The aphid is the green one with a black head. 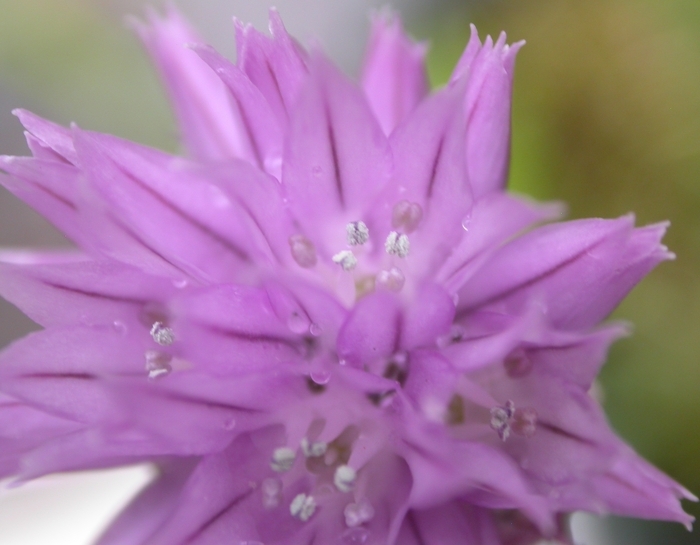 Close look at chive flowers. One of the blooms from Grandma's German tomatoes. 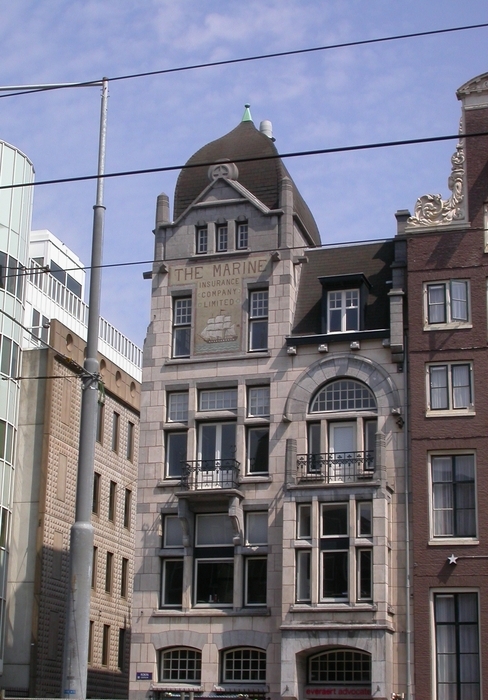 This building has always seemed odd to me, mostly because it is a limited, making it a British company. I suppose they've had an office here for some time. 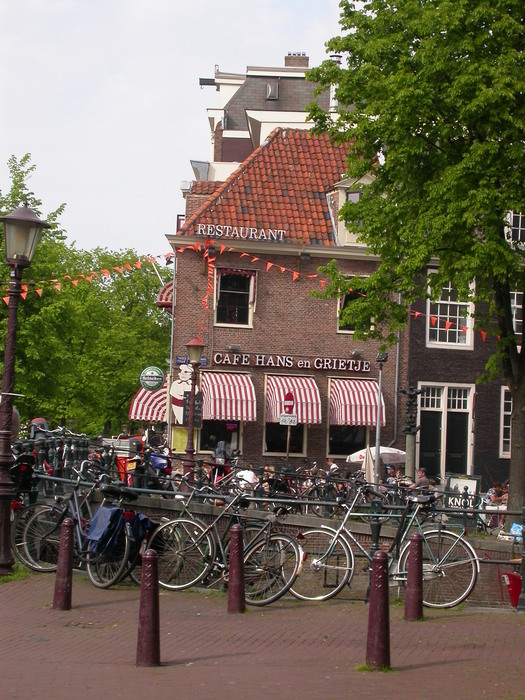 The Cafe Hans en Grietje is somewhere between creepy and hilarious. Skip the roast.